CONDITION NOTES: The estimated date is based on the earliest known date for Azo 7 photo paper by Eastman Kodak. * All postcards are shipped in a rigid cardboard mailer marked "DO NOT BEND." * All orders are shipped within 1 business day. * Your satisfaction is guaranteed. Our feedback speaks for itself. If you can not leave us positive feedback please contact us and allow us to correct any problems. * We only deal with vintage and antique items. All items on our site are 100% original and authentic. We do not sell any reproductions, fakes, knock-offs or the like. BELOW AVERAGE - This is our lowest grade for a postcard. 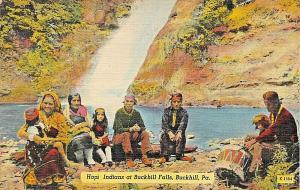 Postcards in this grade are in below average condition for their age. Postcards in this grade will be intact, but will have significant wear and other undesirable characteristics. 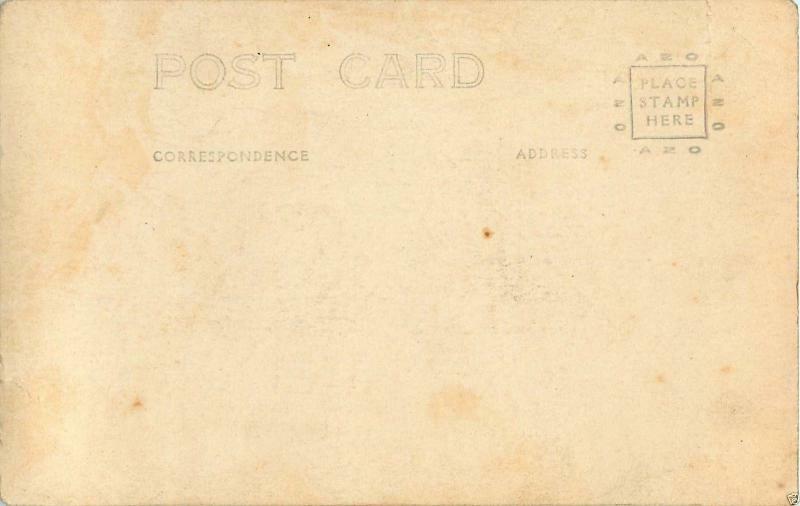 Postcards in this grade may also have soiling, yellowing, rips, tears, stains, etc. 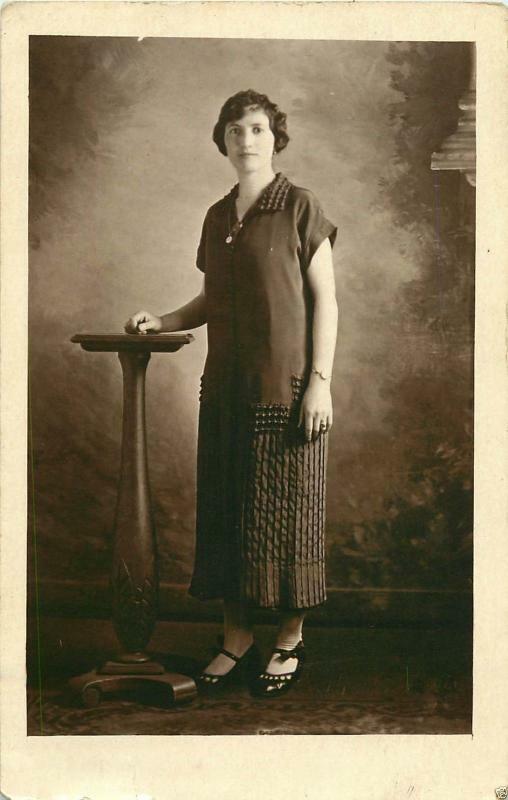 Postcards in this grade are still considered collectible, especially if the postcard is not a common card. Please see our scan of this postcard to make your final determination as to the condition of this postcard. AVERAGE - This is our most common grade for a postcard. Postcards in this grade will have average wear for their age. 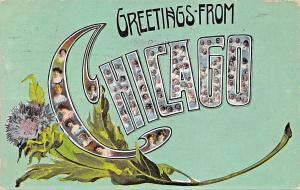 Postcards in this grade may have some soiling, some yellowing, some wear and other minor damage consistent with the age of the postcard. Any significant damage will be noted in the condition notes above. Please see our scan of this postcard to make your final determination as to the condition of this postcard. ABOVE AVERAGE - This grade is for postcards that are in above average condition for their age. Postcards in this grade will have minimal wear for their age. Postcards in this grade have only minor flaws. Please see our scan of this postcard to make your final determination as to the condition of this postcard. NEAR MINT - This grade is reserved for postcards that are in pristine condition with only a minor blemish or two that prevents the postcard from being mint. Postcards in this category will show little to no signs of wear. Please see our scan of this postcard to make your final determination as to the condition of this postcard. MINT - This grade is reserved for that rare postcard that is in mint condition. 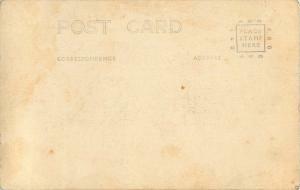 Postcards in this grade will show no signs of wear, nor contain any blemishes of any kind. Please see our scan of this postcard to make your final determination as to the condition of this postcard.